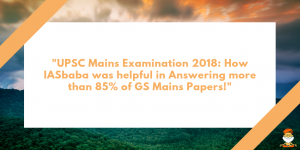 This page is dedicated to Answer Writing for Civil Services Examination, UPSC Mains. We post 5 GS questions based on static and contemporary issues and also review answers of regular participants. In the end of the day, the synopsis is also provided. You can go through the OLD TLP segments and assess the significance and importance of this initiative and why it is so famous among successful aspirants. 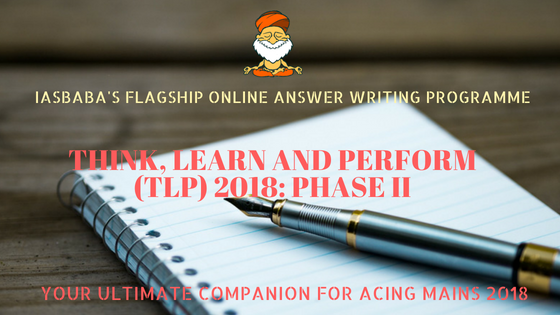 Continuing the legacy of an initiative that has become synonymous with terms like accurate, relevant and effective, IASbaba is pleased the announce the launch of its flagship online initiative of Think, Learn and Perform (TLP) for Mains 2018.